We are a shop based in the UK Specializing in unique decorating ideas for Childrens rooms, Nursery decor and great decorating ideas for the home. We also supply hospitals and dental surgeries with wall stickers & Wall murals. Our web site is devided into childrens themes to help you navigate your way around. We stock a wide range of wallpaper for boys rooms and Girls rooms. We also stock a wide selection of unique childrens wall stickers. Fun Decor's Childrens room decoration ideas are both educational and fun. We now ship all over the world. If you're looking for a theme with Jungle animals in a cartoon style or more life like you'll find it here. 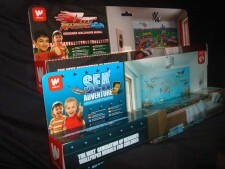 We stock the award winning Walltastic wallpaper murals and room makeover kits. We also stock a superb selection of giant Jungle animal wall stickers, giving you everything you need to create your very own wall mural, Mix a few animals with a selection of plant stickers to create a unique design for your home. Probably the best selling theme, Dinosaurs are a big favourite with children, (and adults) So if it's a Prehistoric theme that you're looking for come in and have a look around. 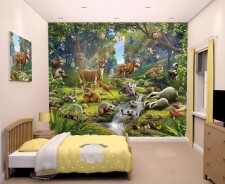 Dinosaur themed wallpaper murals, room makeover kits, Cartoon style and also lifelike decals. Some wall decals are floor to ceiling See the Dinosaurs or the Jungle Animals. Another great theme for kids, The Sea Adventure wallpaper mural has so much crammed in to the scene, Discover the sunken shipweck and the treasure. There are numerous Dolphins, whales, turtles and loads of fish. We also have a superb selection of giant sea life wall stickers. From pigs to cows & horses we have it all. A giant Walltastic wallpaper mural with a fantastic Farmyard scene. Giant farm animal wall stickers including pigs ,little chicks, calves, a cockeral, a foal and even a wolf. Just add a few plants and perhaps a tree decal to complete the scene. A great bedroom theme for boys and girls of all ages to enjoy. ! One for the boys perhaps ? 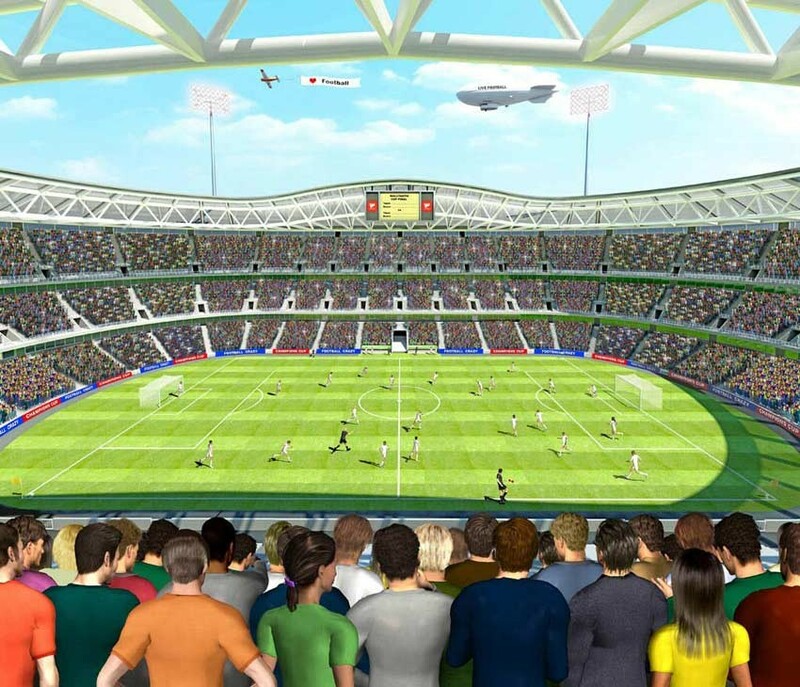 Astronauts, Spaceships, stars and planets in the form of wall murals or as wall stickers, Giants sizes available. self adhesive mini wall murals, Space windows (must be seen) Glow in the dark stickers for walls and ceilings. Even a selection of space themed acrylic wall mirrors. Everything you need to complete a brilliant Space themed room. Over 35 designs to choose from including TV Favourites at discount prices. Walltastic wallpaper murals are both educational and fun for children, boys & Girls alike. Installing Childrens wallpaper murals is easy. 12 small pieces fit together to create a real WoW. Designs that will bring your children's bedroom to life !! We have over 35 designs to choose from at amazing prices. All in stock and ready for a quick delivery. See all the designs to find our if we have the design that you're looking for. Car Racers , Junge Adventure, Fairy Princess, Dinosaur Land, Football Crazy, TV Characters,Space Adventure, Pirates, Sea Adventure and loads more. These Giant themed kids wall stickers are a quick fun way to decorate kids rooms, halls, hospitals, Waiting areas, school classrooms & nurseries. 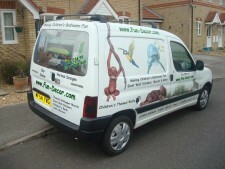 Our giant animal wall stickers appeal not only to children but to customers who want funky walls. So easy to apply, Just peel and stick, with no damage to the surface below. So if you're looking for cool decoration ideas for children this is definitely one of them. A quick, easy way to decorate and create a fantastic themed room. 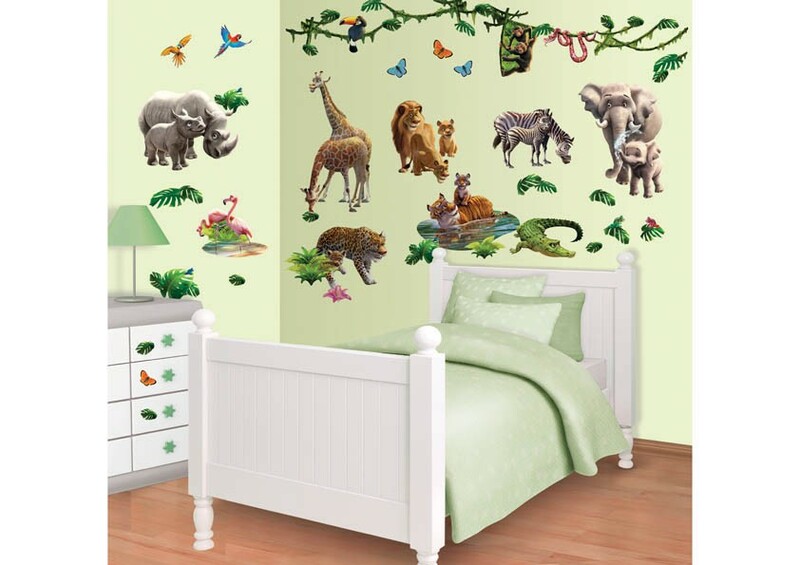 Wild animal wall stickers are suitable for little boys bedrooms and little girls rooms alike. A nursery makeover or anywhere in the house. Quite often the decorating theme for children’s bedrooms starts around one special piece of furniture or other item, perhaps a wallpaper border or bedding. So whether you are starting from scratch or adding to an existing theme you will find everything you need here on this site. Decorating products for a baby’s nursery or for kids bedrooms. Same goes for our range of Wall murals for the home, we have large variety of multi coloured wall murals. Anything from a remote beach scene to a mural of giant flowers, a forest scene to a cityscape. Designing the ideal kids bedroom begins with a theme, it could be a Dinosaur theme, A Fairy theme, Racing cars, Space & Aliens. Only you will know what your child is in to. It could be a favourite TV programme character such as Peppa Pig, Spiderman, Ben 10, Fifi, Dora or even the Dreamworks team. Kids need their own space too, your child can spend a lot of time in their bedroom so why not make it as much fun as possible - a fantasy world if you like. Children also love Mirrors. It helps them to acquire dress sense and is vital for developing their own awareness. Our range of kids mirrors are made from acrylic and are therefore safe for children. They come in many designs that complement our other themes. Unusual shapes can be achieved with acrylic that can not be achieved with conventional glass mirrors. Our wall mirrors are also light weight therefore easier to hang, using simple adhesive pads. The design of a babies nursery should be a comfortable place for both parents and baby, keep in mind that baby will only be a baby for a few months. When it comes to decorating a baby's nursery, consider how long you want the design to last. You can design a nursery that works for little babies and a young toddler where only minor adjustments need to be made to satisfy a young toddler. All little girls dream of being a princess or fairy, and a sure way to make them happy is to create a fun bedroom which satisfies these romantic fantasies. Girls love their soft toys and stuffed animals too, so add a fun finishing touch to your child’s bedroom or playroom to carry the theme through. Little boys will love anything from racing cars, to dinosaurs in a jungle setting. Space themes are also very big at the moment. Giant wild animal wall stickers and wallpaper murals are great ways to get an immediate WOW effect. Teenagers are always a bit harder to please, have their own sense of style, Teenagers need to be consulted with regards to the design, so let the young adults express there thoughts in their own way by creating their own style of contemporary modern, retro or wild animal private space. Fun Decor's giant childrens wall stickers and childrens bedroom wallpaper products are safe, easy to use and are a very effective way to decorate and brighten up any room in the house. You will find that the themes grow on you and that you will want to keep building the theme design. Your children will want to get sent to their bedrooms! Have fun decorating and designing your childrens bedroom walls, involving your children even more so, it can be very rewarding and even educational. www.Fun-Decor.com is growing and has more & more childrens bedroom wall stickers & childrerns wallpaper designs. New ideas and how to decorate kids rooms rooms coming all the time, so visit us often to see whats new. Fun-décor is the best place where you can find an impressive range of feature wall murals and children’s wallpaper that will transform a child’s room in to a beautiful space they would love to spend time in. Want to create a themed look with your child’s favourite animals or cartoon characters? Well, we have just what you need: Dinosaur themes, underwater scenes, jungle themes and even their animated heroes are all available on our extensive wall mural range. Worried about the cost, well at fun-decor, you can decorate a whole wall with the most attractive Wallpaper for only £40 These incredible and colourful designs are created by Simon, an interior designer with over 30 years of experience. So what are you waiting for? Grab the best deals for the most amazing wall paper and wall murals today. If your wondering how do to decorate your childrens's rooms, we can tell you how to do something really creative, Your bedroom design, our help, just call/text/email us ! Fun Decor have the very best ideas in ways to decorate childrens bedrooms and spaces. We stock and are one of the leading suppliers of childrens Walltastic wallpaper murals and have a large selection of giant wall stickers. Fun décor is an experienced retailer of giant wall stickers and wall murals. We will not only offer you the widest range of unique wall decorations but provide advice on how to bring out the best in your space as well. Text or email us for ideas and professional advice on how you can transform even the most boring room in to a colourful wonderland. You are in good hands as we are a company that has been featured on ITV’s 60 minute makeover show and BBC’s DIY SOS. From dolphins, monkeys to farm animals and dinosaurs, our range of products is fully equipped to fulfill the expectations of your child, whatever their interests may be. Your kids’ bedroom is an important part of your house. For your kids, it is a place where they sleep, play and keep all of their belongings. Just as much as the rest of us would adore the opportunity to personalize our living space, kids too would like to spend time in a room surrounded with their favourite things. Nowadays, there are simpler ways to get those favourite sports, games and animals to greet your kids in their own rooms. Kids wall stickers are the latest interior decorating trend to hit the market. This is a fun and economic way to make some noticeable changes to your kids’ bedrooms. We have a unique range of kids wallpapers and plenty of other additions to truly personalize your children’s’ rooms with a minimal investment and a lot of fun and colour. Little boys live in a world full of adventure, incredible animals, racing cars and of course, everybody’s favourite animated characters. This is where our incredible range of boys wall stickers come in to action. We at Fun-Decor are very well aware of how much your kids would love a room personalized with their favourite things. Our range of wall murals and boys wall stickers is full of unique and beautiful designs that are guaranteed to make your kids happy. Ponies, fairies and princesses are all in every little girl’s day dreams. So, why not bring some of the magic in to their rooms with some high quality wall paper murals and girls wall stickers full of all things girly? For all of you mums with little girls, browsing through our wide selection of girls wall stickers and kids wallpapers created especially for lovely little ladies would be a fun experience for kids as well as their mums. For children and teens, maintaining their own personal space is a part of their growing up process. Since their bedrooms are the places where they are bound to spend a lot of time in, they should be decorated with their preferences in mind. This is why it is always important to involve your kids (if they are old enough) in the selection of the right theme for their bedrooms. For kids who would love to personalize their rooms with their names, we offer a wide range of designs, colours and styles of personalized wall stickers to select from. 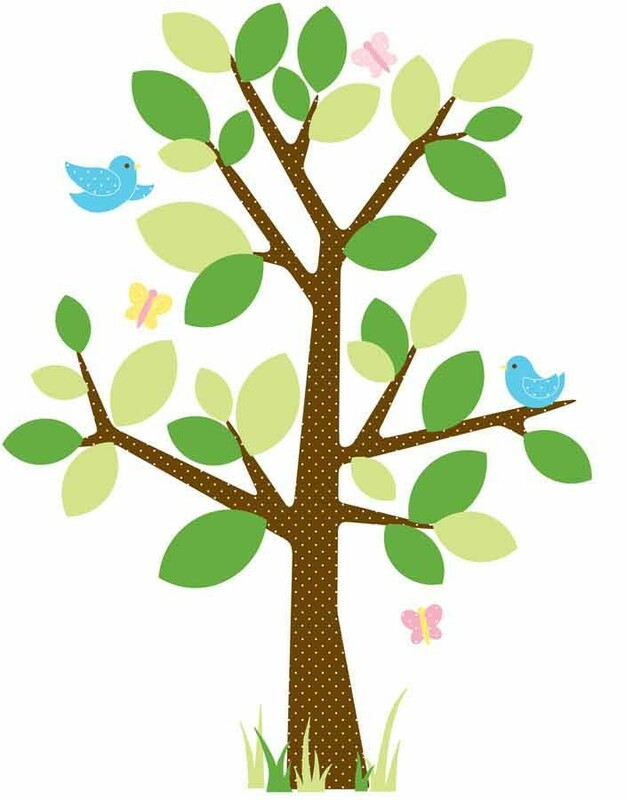 Preparing the nursery for the newest member in to your family? Well, we have the ideal collection of nursery wallpaper and baby wallpaper to make decorating your baby’s room a breeze. It is an absolutely exciting task to prepare your task for parents to be. However, we are determined to make things inexpensive as possible for you with our incredibly varied range of products that are high in quality, easy to install as well as incredibly low priced. You don’t have to spend a fortune to decorate a bedroom for your baby on the way as here at Fun-Decor, we have plenty of nursery wall stickers and baby wallpaper in a variety of eye catching designs at the most affordable prices. These nursery wall stickers are a wonderful way to transform a dull old room in to an interesting room full of magical creatures and colourful toys strewn out across the walls. Mirrors are an interior designer’s delight. For kids, a mirror is an essential item for them to develop and awareness for themselves as well as to create and develop their own personal sense of style. But, why hang a boring old square mirror when Fun-Decor has a unique range of safe childrens mirrors to add a touch of artfulness in to your child’s room? From fun filled animal shapes to girly designs all the way to tiny mirrors that can be arranged to create a unique cluster effect to add a touch of interest in to even the most plain and boring wall. Our childrens mirrors are made from high quality acrylic to guarantee safety and easy installation. These kids plastic mirrors are no different from regular mirrors made from glass in terms of reflectivity but they are much more lighter and will not shatter and cause injuries. They come in a variety of different shapes that can be added successfully to make the most of just about any room. Decorating a kid’s room, whether it is a girl a boy or a teenager, is a fun task for the entire family. As a parent, you are the one who knows best about your child’s interests and preferences. As a retailer of decorative additions from nursery wallpaper, kids wall stickers all the way to kids plastic mirrors we are also well aware of what the interests of the average little boy or girl are. At Fun-Decor, we are proud of our extensive range of products as well as the fact that we are able to offer our high quality products at incredibly low prices. 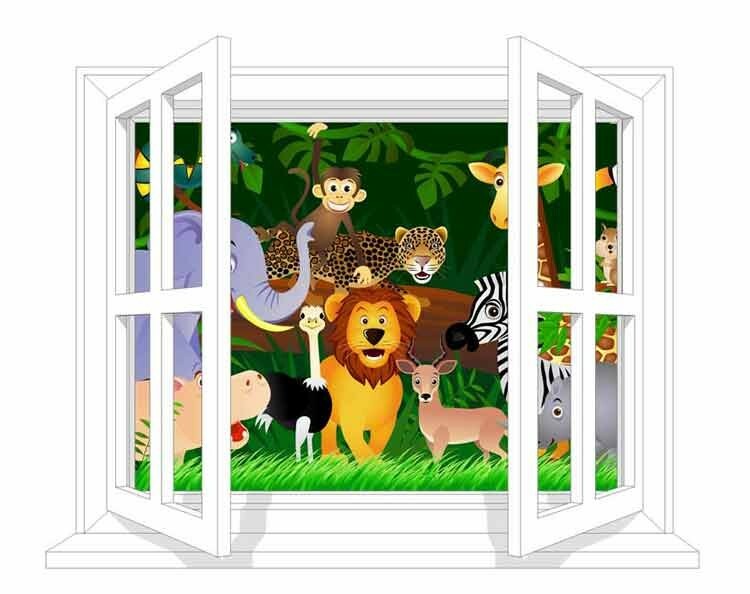 Our animal wall stickers as well as all other wall stickers can be repositioned to the preferences of your kids. This means that your kids can change the stickers whenever they feel like a change. As for the mural wallpapers, they come in a wide variety of designs for girls and boys along with installation instructions to make sure that your kid’s bedroom walls are transformed in a matter of minutes. Our product range often introduces new additions to the wall murals to make sure that the latest children’s cartoons and animated movies are never left out from the impressive additions to our range. Whatever theme you are going for, we have the ideal wall murals and fun mirrors as well as personalized wall stickers for the job. So, browse through our impressive collection to transform your child’s bedroom in to a fantastical wonderland full of fairy princesses or a jungle adventure full of animal wall stickers and amazing mirrors. With a little bit of help from us, your child’s vivid imagination and fancy mirrors, you too can turn your child’s bedroom in to a fantastic space that they would love to spend time in. Our Walltastic wallpaper murals come in a lovely glossy presentation box that makes the ideal for presents for boys and girls.